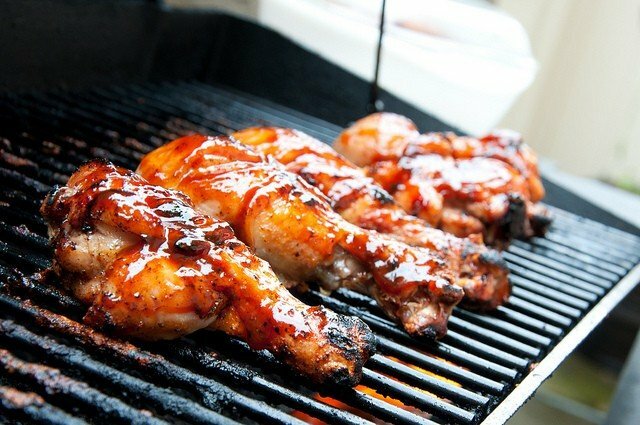 There are so many marinades that you can baste your meat and vegetables with… but here I am giving you what is probably the simplest marinade or dressing of all – a simple barbecue sauce recipe. You can use it as a marinade, or as a dressing. Kids love this version, and it’s worth keeping a squeezy bottle of it in the fridge at all times. Mix all the ingredients into a bowl, jar or squeezy bottle… and use liberally! This can be used to marinade your meat or veggies with before popping on the barbecue or under the grill. Either leave it to soak in for an hour or paint it on just before it hits the heat. This is a great dip too. Just whip up a batch and keep it in the fridge. A couple of weeks should be fine, but we find that it never lasts anywhere near that long. Halve the sugar if you don’t like your dips too sweet. Swap the chilli powder for two or three sliced fresh chillies if you want a real zing. Keep the seeds in too!